Most Read Outdoor Photography Blog in Canada! 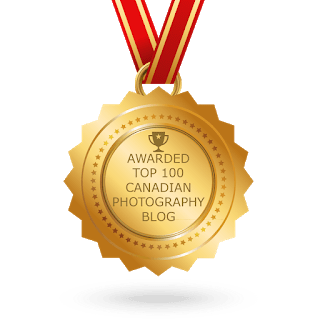 This week the blog on my website won an award for being “the 5th Most Read Outdoor Photography Blog in Canada.” Click this link to see who else made the list! I was ranked 35th overall amongst all genres of Canadian professional photographer websites and professional photography retailer websites listed on google. Making the top 5 most read outdoor photography specific blogs in Canada is a nice achievement. The criteria they used to rank, and award websites involved ranking a photographer’s social following on Facebook, Twitter and Instagram in addition to their website page rank on google. They used these factors to compile the list. My blog was ranked the 5th most read outdoor photography blog in Canada, and 35th overall amongst all Canadian photography blogs. Check out the complete list here. Most of you who read my blog have noticed that I like to share my photography secrets, at least some of them. My goal is to help you to become a better photographer overall while concurrently promoting my business. I sincerely hope my self promotion doesn’t bother you. I’m a full time landscape photographer and I do need to make a living at this so, I do have to promote myself at least a little bit. I believe that I can help people for free, and have some of you help me in return to sustain my business by buying my products at the same time. Everybody does win in the business model I’m following! I’ve always had the goal to be one of the top 10 landscape photographers. I never really had a desire to be #1 though honestly. I’ve always believed that when someone is amongst the best, they are the best. Picking a truly decisive winner in this genre of photography is a little too specific for anyone to do accurately in my opinion. Defining a clear “winner” is variable at best and depending on the subjective metrics that are used to “measure” the best. One photographer might be #1 by one measure, and he/she might be #10 by another measure. The inherent variability in measuring “the best” implies that any list should be taken with a grain of salt. It is truly a top honour to be named “Amongst the Best.” And, this week I was named amongst the best! Some of the ways that I think that I’ve growth the following on my social media channels and website is by editing and publishing “The ILPA Landscape and Wildlife Weekly newsletter.” I think that The ILPA Weekly has become an industry leading ‘inclusive’ outdoor photography newsletter. In The ILPA Weekly I showcase other leading outdoor photographers. I like to keep my immediate content in the newsletter between 10%-25% of the overall content. I believe that it’s important to keep to keep the ILPA Weekly biased towards the broader and diverse outdoor photography community. It’s important to prevent the newsletter from turning into purely a promotional vehicle for ILPA, or for my own outdoor photography business website. All professional and Industry members of ILPA will have their relevant content showcased in the newsletter too. The weighting of content will remain balanced to support Professional Members of ILPA and the non-ILPA members alongside the others in the broader outdoor photography community. Make no mistake, I believe that the newsletter has to remain a valuable resource to it’s subscribers and **it must not** evolve into a blatant advertising vehicle for ILPA or for myself. I’ve see this happen in the majority of other newsletters that I subscribe to that are produced by other professional photographers. And, that doesn’t reflect on those businesses. I believe that being altruistic when selecting content for The ILPA Weekly is a key to it’s success. Plenty of other photographers are highlighted in The ILPA Weekly helping it to represent the broader industry. And, honestly, I feel pretty good about myself when I help other photographers to succeed as I follow this principle. I want to thank you for reading my blog and sharing my posts on social media and on your websites too. All of you have helped me to win this award. And, I hope to continue producing top notch outdoor photography posts for you to continue reading in the future. My secret to continue doing that is to be genuine. I feel that it’s important to write about the things that I like, and to share the knowledge that has taken me years to compile. After all, I’m a landscape photographer too. And, I believe that my willingness to share is why my blog made the list. I promise you that I’ll continue to try hard to produce engaging posts for you to read. The network of 34 regional ILPA Landscape and Wildlife Photography Facebook Worldwide groups has become an important place for outdoor photographers Worldwide to socialize online with each other. These groups are about outdoor photography and outdoor photographers. These groups have become very popular when measuring both the number of people in the groups, and the engagement in them. They are one of ILPA’s biggest sharing success stories. I recommend joining the World regional group representing the region in which you live. Then, also join the other groups representing the different parts of the World that you’re interested in learning more about, or interested in traveling to in the future. This network of ILPA regional landscape and wildlife photography groups is emerging as a leading sharing and learning resource for outdoor photographers Worldwide. I hope you agree and you choose top join some the ILPA regional groups. I also hope to see you at one of the ILPA Landscape and Wildlife Photography Summits, in the future too. 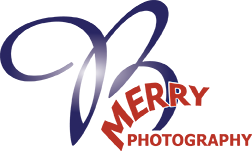 The next conference called The 2018 ILPA Summit is Nov. 30-Dec.2, 2018 in Banff, Alberta, Canada. I hope to see you there! I wish you all the best in your photography, and in all of life’s endeavors moving forward. ILPA President, and first and foremost, an outdoor photographer!